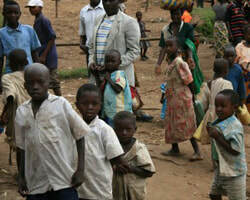 Once called "the most forgotten, worst humanitarian crisis in the world” by the UN Undersecretary for Humanitarian Affairs, the conflict between the Lord’s Resistance Army (LRA) led by Joseph Kony and the Ugandan Government raged for 20 years in Northern Uganda, displacing nearly the entire civilian population onto Internally Displaced Persons (IDP) Camps. Children within these camps were targeted by the LRA for abduction from their families and forced to become child soldiers. Over 20 years of war in Northern Uganda, nearly 25,000 children were abducted and more than 100,000 civilians lost their lives. ​At the war's height, the majority of the North's population, some 1.9 million people, lived in IDP camps where they faced a chronic daily struggle to meet their basic needs. Deprived of their farmlands, northern Ugandans came to depend on a limited supply of external food aid. Disease and hunger claimed many tens of thousands of lives. Children faced the nightly threat of abduction and sought safety every evening by commuting long distances to town centers to sleep in bus stations, hospitals and community centers in an effort to avoid LRA abduction. In 2006, a tenuous cease fire was established between rebels and government troops in Northern Uganda. 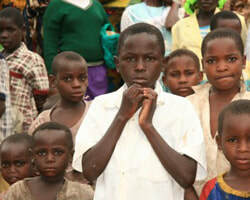 By 2008, families began to leave the IDP camps and return to their homes. The LRA has fragmented and been pushed over the border where they instead prey on the civilian populations of South Sudan, eastern DRC, and the Central African Republic. Peace has finally come to Northern Uganda. While the war is thankfully ended in Northern Uganda, the legacy of over two decades of war remains tangible. Travel from the south to the north of Uganda is like entering another, poorer country.​The regional disparity is immediately visible in the neglected physical infrastructure - roads, schools, and hospitals - but also in the people themselves. An entire generation of northern Ugandans missed out on the educational opportunities and other developmental advances seen in the rest of Uganda. Given the limited skills and opportunities, the challenge of reconstruction will require committed leadership and continued security in northern Uganda. Neither of these is, however, a given.